Harris Resistant Bed Bug powder is part of the Harris Gold Label lineup. Apply in areas where bed bugs have been seen. A very, very light dusting is all that is needed. 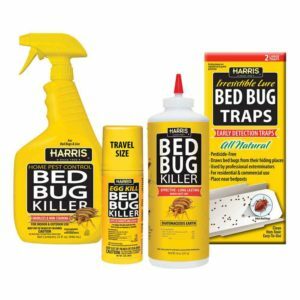 Harris Resistant Bed Bug Powder is part of the Harris Gold Label lineup, a line of products designed to kill the toughest pyrethroid resistant bed bugs. If you’ve tried multiple bed bug products with no success, you may be dealing with a tough-to-kill pyrethroid resistant strain, which are prevalent throughout the United States. A very, very light dusting is all that is needed.